We don’t want no stinkin Kool-Aid! No way siree bob! Back when we were kids, we didn’t get no fancy schmancy kool-aid! We had freshie and we liked it! I still remember the little packages stacked in their boxes on the shelf at the CO-OP in Clarenville. 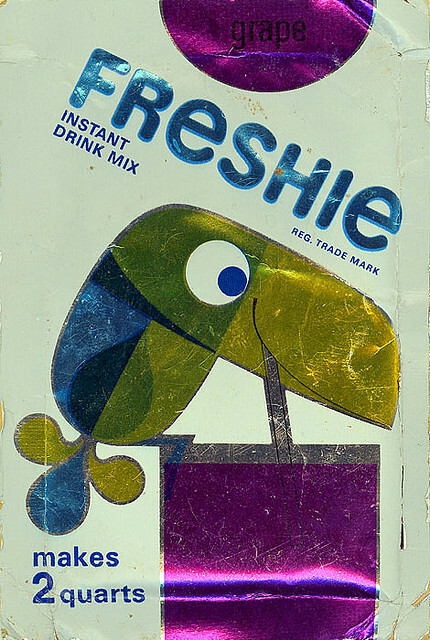 I’m sure the flavours had names too, but no one called freshie by its flavour name. You had red freshie, or purple freshie, or orange or green. I also remember Mom had these little Tupperware popsicle things, and we’d pour the freshie in those and have our own popsicles. Tasted so much like a Mr. Freeze! I’m not sure why it was the drink of choice for us, I assume it was likely cheaper, and maybe promoted a little more locally as I’ve since found out it was a Canadian product. 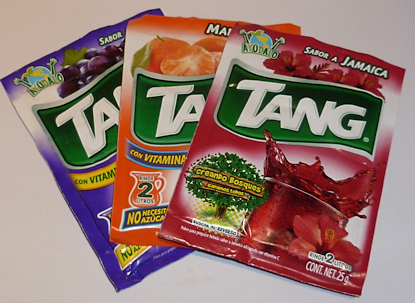 Anyway a brief memory from today when someone mentioned something was tangy! Anyone remember any other little things like this that bring back memories? Our thing was the ‘Fizzies’ – couldn’t get enough of them until we drank so much we got sick. That was the end of that. I have a very disturbing memory about what i thought and was told was kool-aid in the fridge which turned out not to be kool-aid, freshie, tang or any of the sort, but something totally different with a very distinctive flavor, I am sure you remember if not Eric would for sure.haha, good times. Seems hard to believe Eric or I would know anything about anything like that. Was the punch salty or something?? ?